I’m forever wanting to change my hair, be it the colour or the style, as I get bored so easily. 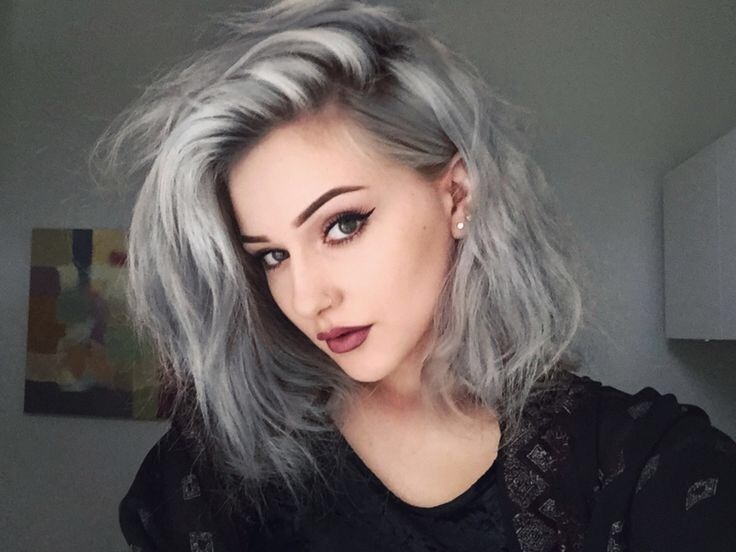 I’m at a point where I’m quite happy with both (although I do want to try silver hair on a short term basis). How do I create a bit of variety to stop the boredom from setting in? In this week’s Wish List edition, I’ve found some trends from the catwalks that are set to be big this season. These styles will update my look, without being too drastic. Well, all but one! I love this look! I think it’s edgy, and the irony of dying my hair silver as I turn 30 is too much. It must be done. Soon! Watch this space! This is a tougher version of your standard headband. It’s good girl meets biker chick. These accessories have been all over the runways, from Chanel to Balenciaga. Swap your silk bows for leather ties this Autumn, and be as on trend as Karlie, Taylor and the rest of the squad. Be brave this season- sweep your hair right over, creating a deep side look. It’s so easy to do, and it’s perfect for those days when you can’t be bothered to wash and blow dry, but want a gorgeous style. Dry shampoo (my favourite is Batiste Cherry) is perfect for this style. Spray, sweep, go! Forget high buns or side ponies, low and long is the way forward. Gather your hair at the nape of your neck and secure with a bobble or band. For a more intricate take, twist the sides of your hair towards the nape before your secure in a ponytail. If it ain’t broke, don’t fix it! Effortless waves remain everywhere this season. Either tong, twist or plait your hair to achieve this look! I find using the Tresemme Perfectly (un)Done range really helps to get this look! Don’t worry about making your up do perfect. Knot it, twist it, scrunch it, tie it. The messier the better! This means we should spend less time on our hair and more time having fun. Sounds good to me! Let me know what looks you turn to to update your hair!